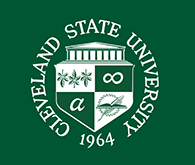 The Friends of the Cleveland State University Library needs your gently used books, CDs, videos, vinyl albums, etc. for its ongoing book sale. The Friends accept and appreciate a few volumes or a whole collection - one donor gave the Friends more than 600 volumes of books and yet another donated more than 6,000 vinyl records. Some were retained by the Library for the collection and the others went directly to the book sale. Transportation for larger collections can be arranged. All proceeds benefit the Friends of the Library. For information, contact Terri Greer at 216.687.2481. The Friends of the Library is an independent organization whose purpose is to support the Library. Posted 2007-04-25 16:09:09 by Barbara_Loomis.